Wow. This summer is just flying by! It’s crazy that we’re already a few days into August but here we are. As I do each month, I’m checking in on my goals from last month and setting some new goals for August. I really enjoy goal setting and find that setting goals helps keep me on track throughout the month. Let’s dig in for the month! Get in all of my long runs. Keep up with Pure Barre at least twice a week. I am really pleased because I hit two out of three for the month. Even with being out of town for half the month, I got in every single long run all month. I was really pleased with this and found that simply planning ahead make this work. It was sometimes challenging with the travel but I did it and hit 100 miles for the first time in awhile. Another thing I did was keep up with Pure Barre. I actually took Pure Barre class in each city I visited this month, which was awesome. I took class in Boulder, Co; Atlanta, GA; and Birmingham, AL along with classes at my home studio in DC. So fun! The Birmingham studio has this awesome brick wall – so lovely! Get plenty of rest. I did not do this in July so I’m going to focus on making sure I’m going to bed when I actually need to and not staying up all night. Such a bad habit! Be diligent about week day runs. I’ve done really well with prioritizing my long runs and typically get in two week day runs as well. I’d like to get in four runs each week so I’m going to try and add in another run – either on a weekday or a recovery run on a Sunday. Meal prepping. I have not done this at all this summer. I really need to get back to it and am going to focus on it during this month. What are your goals for this month? Do you regularly set goals each month? It’s great that you set goals and reflect on them each month. I love to set goals to, I just need to be more intentional about them…like write them down! I literally just wrote about how I am training’ for my marathon without an actual time goal and how weird that is! Need to get my head straight soon and make it happen! Writing them down helps me in the accountability department! I try to get my sleep, but life has other plans for me! Teenagers coming in at all hours of the night, a restless old dog, snoring husband, and thunderstorms? I’ve started napping again! Naps are excellent! It’s a good Saturday or Sunday when I can fit one in! I enjoy goal setting as well because I think it keeps me on track. Getting rest is at the top of my goals too. I have been struggling with rest lately so it’s something I’m really striving to do in August. It sounds like many of us need to get more rest!! I try to focus on weekly goals and it works for me! Right now I’m working to add in a couple two a day workouts whenever possible even if the second workout is yoga or an easy spin session. I never get enough sleep. There’s so much to enjoy in life, and so little time. I just want to be able to do everything, despite how important I know getting enough sleep is. Yes! But I know that I have to get back on track with getting more sleep. It’s such a challenge! Yeah, if I can just make one or two meals ahead of time it really sets me up for success! Awesome job on your July goals! It can be easy to be on the go during the summer so I can relate with lacking in the rest department. I also set monthly goals; something I have started in the past several months and have been really liking it. There is something about writing them down that helps and getting intentional through goal setting is a great way to grow personally. My goals for August are to- eat more probiotics, finish our bathroom remodel (ambitious!) and run at least 95 miles for the month. 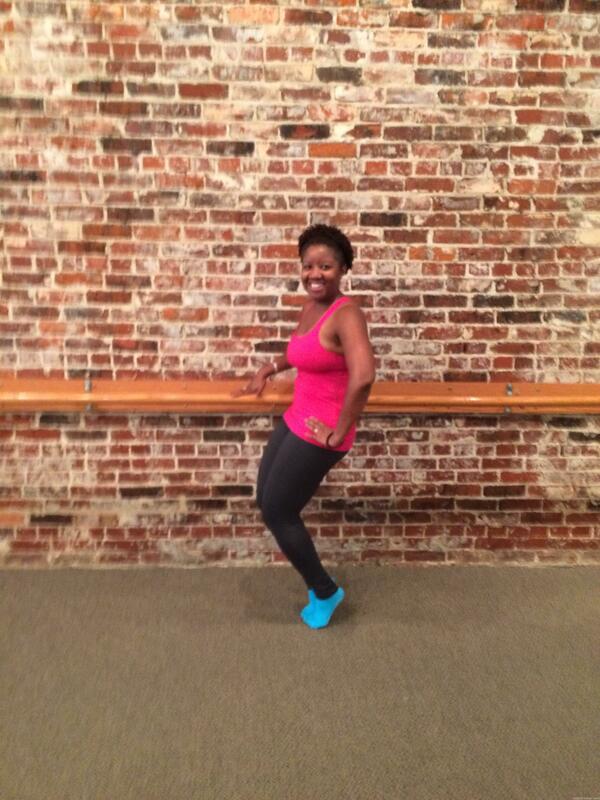 Angie @ Pace with Grace Blog recently posted…Weekend & Running Recap + Some Exciting News! oooooh good luck on those, particularly the bathroom remodel! hope you’ll share the finished product! Great job with the running and barre goals! I’ve struggled with the sleep this month too. It’s a hard one to prioritize so good luck with it this month 🙂 I think I’m going to try to put the Ipad down earlier in the evening and see if maybe that’s been messing with my sleep patterns. Yeah I really just need to go to bed at a decent time. That would help tremendously! Meal prepping is tougher for me too during the summer. Between time away from home and having more activities/social events, it gets kind of hairy trying to plan a week’s worth of foods. I usually make monthly goals for myself. I think they keep me more accountable than if I didn’t have them. yes, all the travel and events makes it VERY challenging! 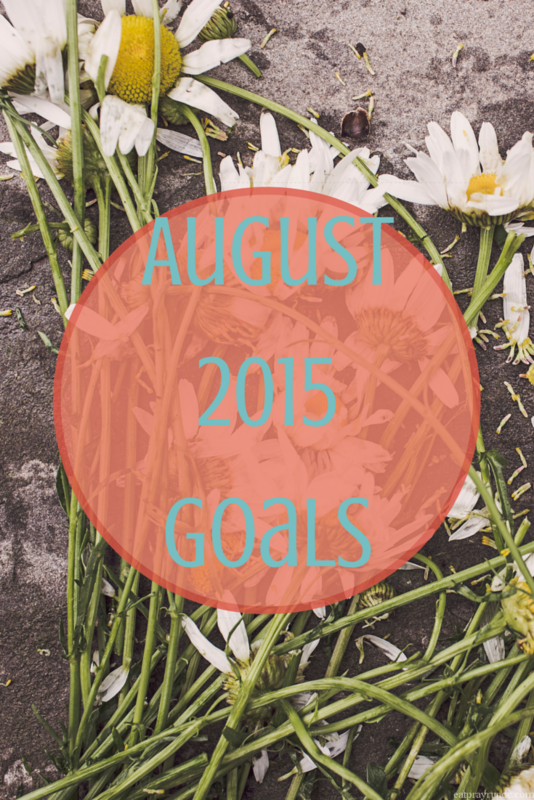 I also just posted about goals for August. It’s my first time trying the whole monthly goals thing; hopefully I can stick to them. Meal prepping is something I need to start doing much more as well. I usually do good until Wednesday when I would have to cook again for the rest of the week, then fall off the wagon haha. if i can just get one or two things made ahead of time (or just prepped) that helps a TON! Courtney, you’ve been on a Pure Barre nationwide tour!! You should get a special prize, I think. Rest is so tough, especially in the summer because it stays light outside longer and there’s just so much to get done! I got no rest with the packing/moving over the past week, so I’m with you on that as a goal this month; it certainly helps my training. Kudos on 100 miles with all you had going on – woo hoo! great goals! I love that you’ve been to Pure Barre in so many locations. haha. Great goals Courtney! I’m with you on the sleep goal – especially with lots of travel planned for this month. My biggest goal is to get all my long runs done. That’s a fantastic picture of you! Here’s to another awesome month! I need to focus on getting enough rest once school starts. It is sometimes so easy for us to get busy. This month I am hoping to finish a half marathon and then start cycling more to give my feet a bit of a break. I think rest is something that most of us lack. It’s my goal to go to bed earlier. When my kids get up at 5, I can’t afford to go to bed at midnight! Awesome job on your 100 mile month!! great august goals and way to continue exercising while traveling. my goals for august are to foam roll more and sleep more, and maintain a consistent exercise schedule.